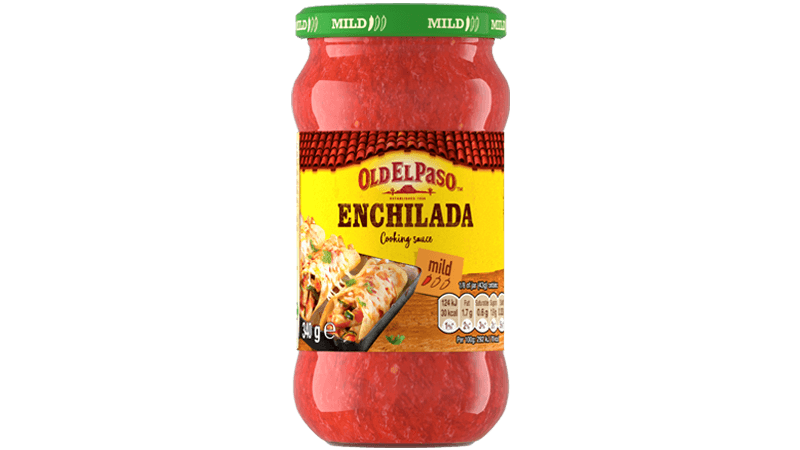 A twist on the enchilada – Using the same flavours but layered into a dish like a lasagne. Great for a family dinner. 1. Preheat the oven to 180ºC (160ºC for fan assisted ovens), gas mark 4. Grease a 1 1/2 litre baking dish with the oil. 2. Heat the oil in a large frying pan, over a high heat, and cook the onion, stirring, for 5 minutes. Add in the beef and continue to cook for a further 5 minutes. Stir in the pepper, corn, taco seasoning mix, tomatoes and enchilada sauce. Bring to the boil and then remove from the heat. 3. Spoon 1/4 of the beef mixture in a thin layer in the bottom of the dish. Top with 3 tortillas, slightly overlapping, then another 1/4 of the beef mixture and 1/3 of the cheese. 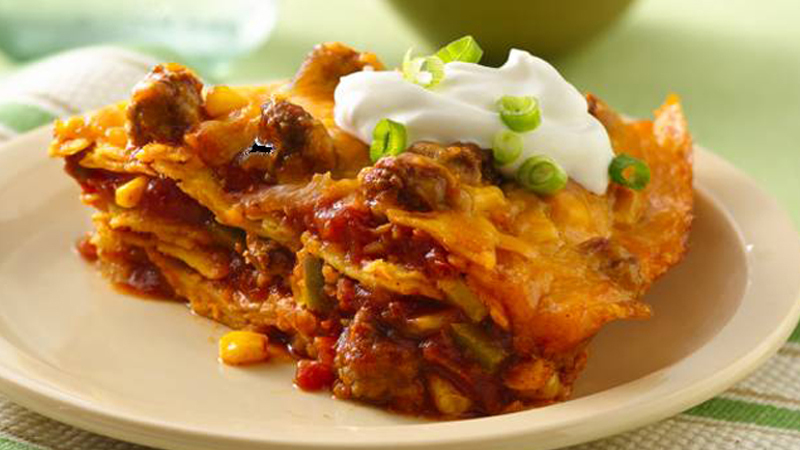 Repeat the layers 2 more times, starting with the tortillas and ending with the cheese on top. 4. Bake in the oven for 30 minutes, or until the cheese has melted and top is golden. Let stand for 5 minutes before serving. Serve with the soured cream and spring onions. 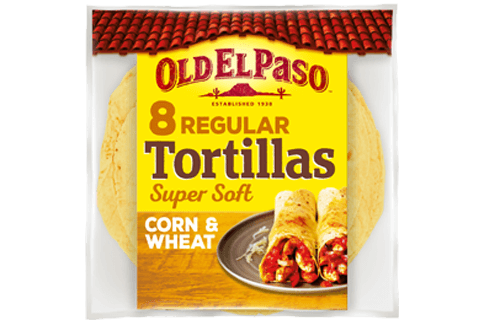 • Old El Paso™ Super Soft Flour Tortillas can be used instead of corn tortillas. • Add in more sliced pepper if you fancy more veggies.